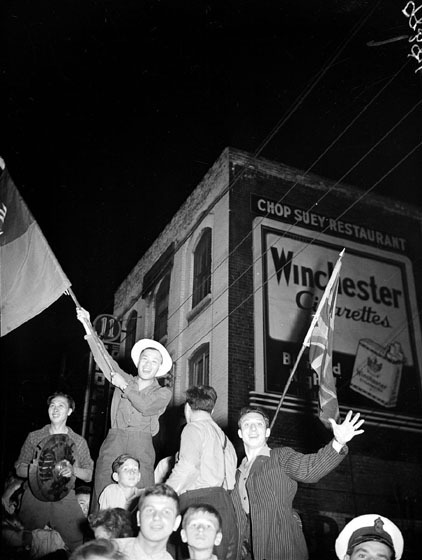 When news came of the Japanese accepting Allied surrender terms, the city’s entire population seemed to head downtown to celebrate. Chinatown was particularly jubilant, full of music, dragon parades, and fireworks. Japan had occupied China in part since 1931. 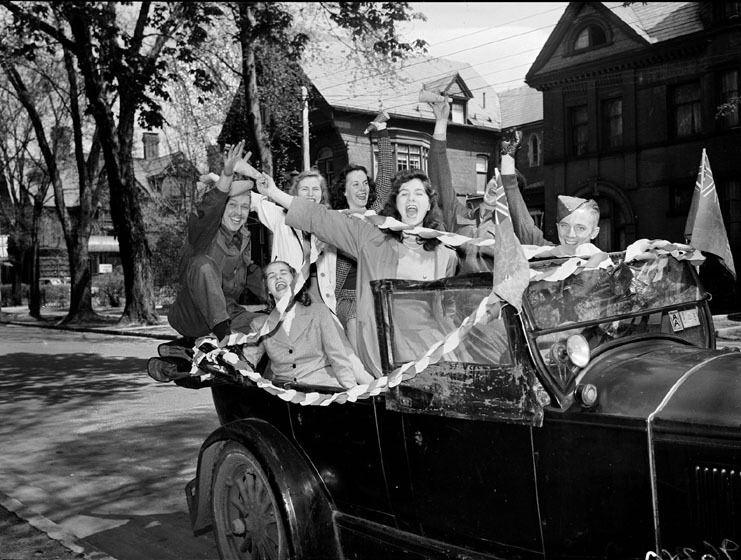 Although V-E Day was officially set for May 8, rumours of Germany’s surrender started the previous day, and many people left work and school to celebrate. 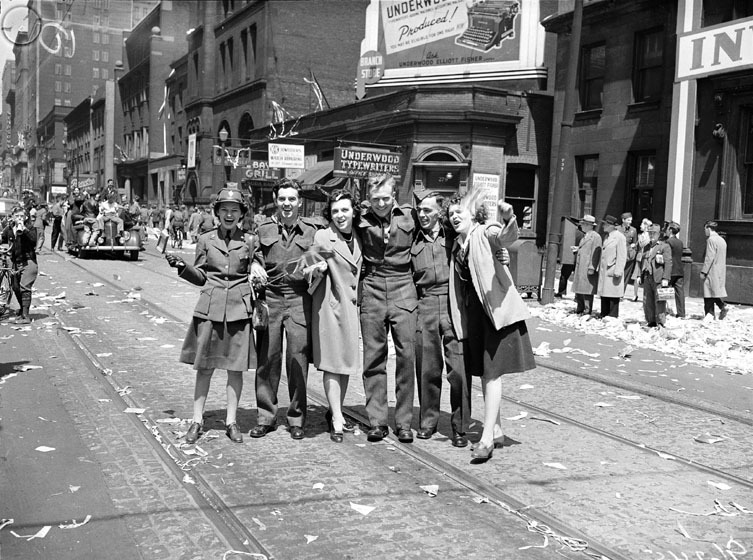 The downtown core was packed with revellers, and Bay and Yonge streets were both virtually shut down. 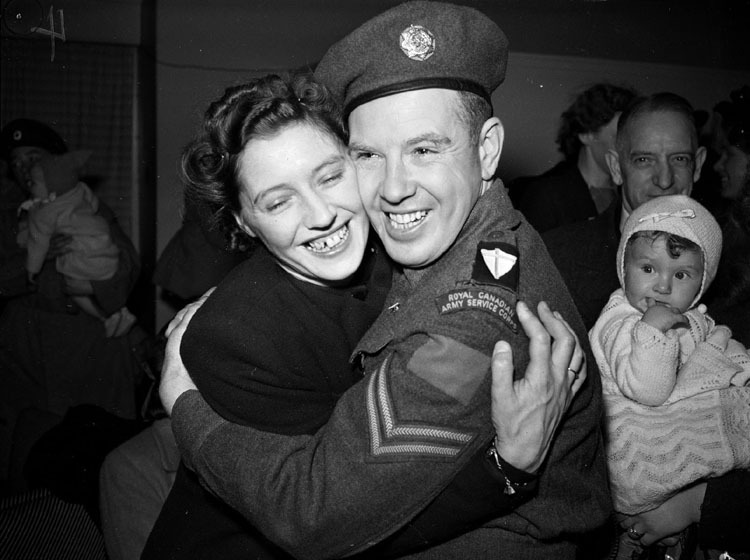 Throughout the war, the Globe and Mail regularly ran photographs of soldiers leaving for and returning from the front. 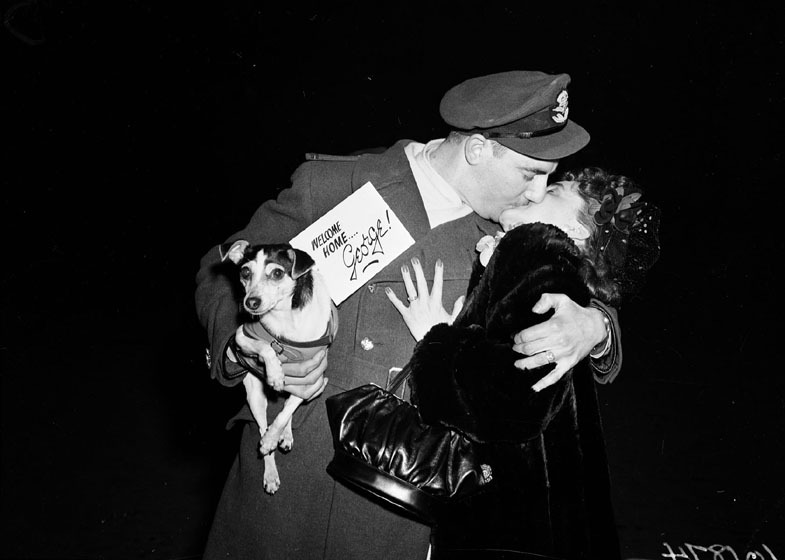 The photographs in this exhibit come from the Globe and Mail collection (Fonds 1266). 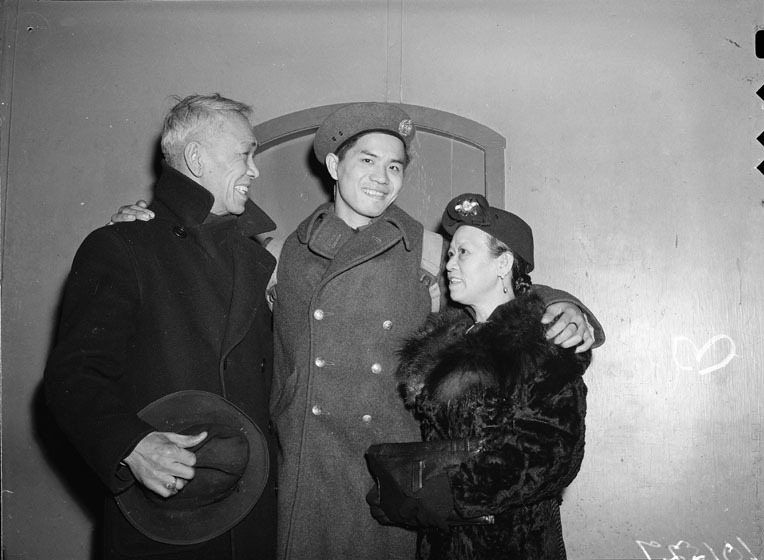 This collection contains 140,000 images that the paper’s first staff photographer, John H. Boyd, and other photographers took between 1922 and 1953. 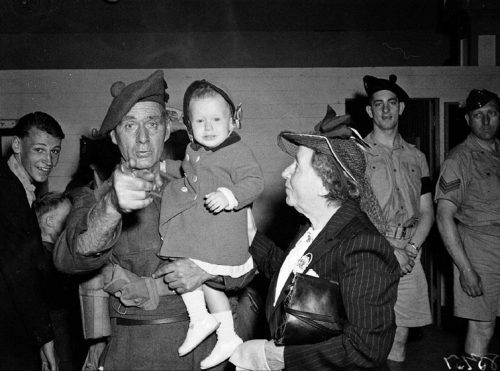 The photographs record events of all kinds: parades, visits by celebrities and politicians, fashion shows, crime scenes, extreme weather, yearly celebrations such as the CNE, and more. They are invaluable evidence about life in the Toronto of the past. The ephemera in this exhibit comes from the Larry Becker collection (Fonds 70). Larry Becker was a dedicated collector who gathered postcards, tickets, pamphlets, maps, posters, and everything else to do with Toronto’s history. After his untimely death in 1998, his family generously donated his life’s work to the City of Toronto, allowing us all to share and learn from this astounding collection of Toronto memorabilia.